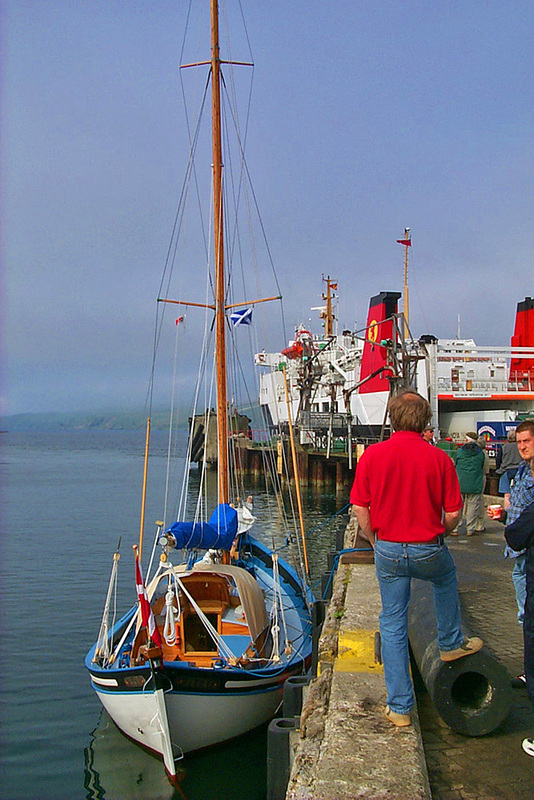 Spotted while waiting to board the MV Hebridean Isles in 2001, a nice sailing boat in Port Ellen. I believe it was visiting from Denmark (the red and white flag I think is the Danish national flag). This entry was posted in Landscape, New Post, Sunny Weather, Village and tagged ferry, Islay, MV Hebridean Isles, Port Ellen, sailing yacht, The Oa by Armin Grewe. Bookmark the permalink.